As a member of the UN Human Rights Council, it [China] has failed to uphold the Universal Declaration of Human Rights and has ignored its obligations under international human rights treaties, such as the Convention against Torture, which it has been a party to since 1988. ... Only four months after the 2008 Beijing Games, police arrested Liu Xiaobo, a poet and government critic, who later won the Nobel Peace Prize in 2010. If the IOC selects Beijing to host the 2022 Winter Games, it will be the first time in history that the IOC awards the Games to a country with the knowledge that the future host is imprisoning a Nobel Peace Prize laureate. CHRD has yet to release a statement following Beijing being confirmed as the 2022 Winter Olympics host city. 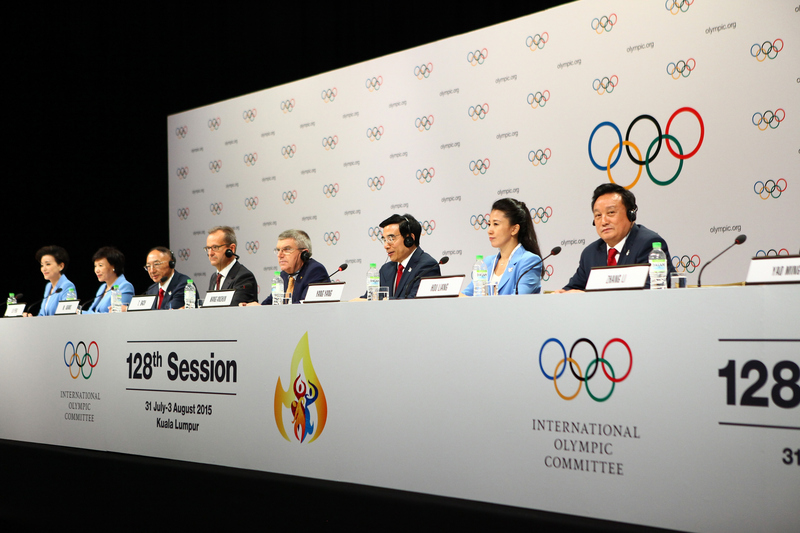 Having awarded the 2022 Olympics to Beijing, [the IOC] now has the added obligation to see that China abides by its code of ethics and commitments. It should also make public the commitments that the Chinese Government has made in order to secure the Olympics. In view of the human rights violations that were committed as a result of the Olympics in 2008, safeguards must be put in place to prevent a repeat. If anything the risks could be greater this time around, with the recent crackdown on human rights lawyers setting a dangerous precedent of things to come as 2022 gets nearer. The IOC has yet to release a formal list of human rights requirements regarding the 2022 Winter Olympics nor has the committee detailed how, exactly, it will be enforcing them.